Home / Events / Food & Drink / Meet Us At The Market! Enjoy a Popup Dinner with a seven-course collaboration menu, cocktails and beverage pairings! 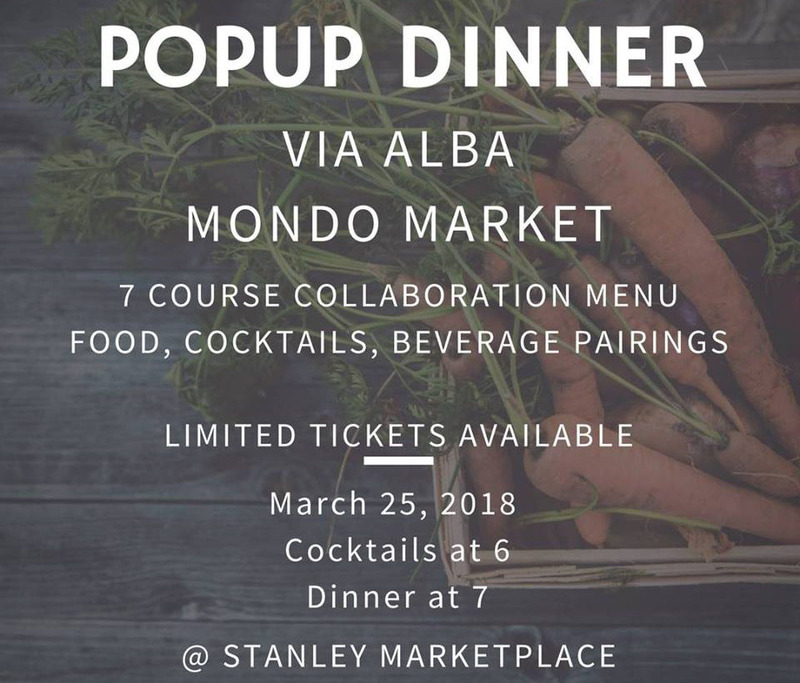 Via Alba and Mondo Market have been hard at work in various kitchens around the city and collaborating with some of the greatest culinary minds. Now, they are excited to show off what they have been working on with their fans. On March 25th they are presenting a 7-Course Tasting Menu. Each ticket is all-inclusive for the cocktail hour and the beverage pairings.